First of all, hold the position of Tadasana. Keeping the heels raised from the ground, bend the body first to the right side and then to the left side. 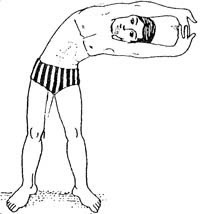 The body should be bent at the waist. Repeat this asana eight times on each side.